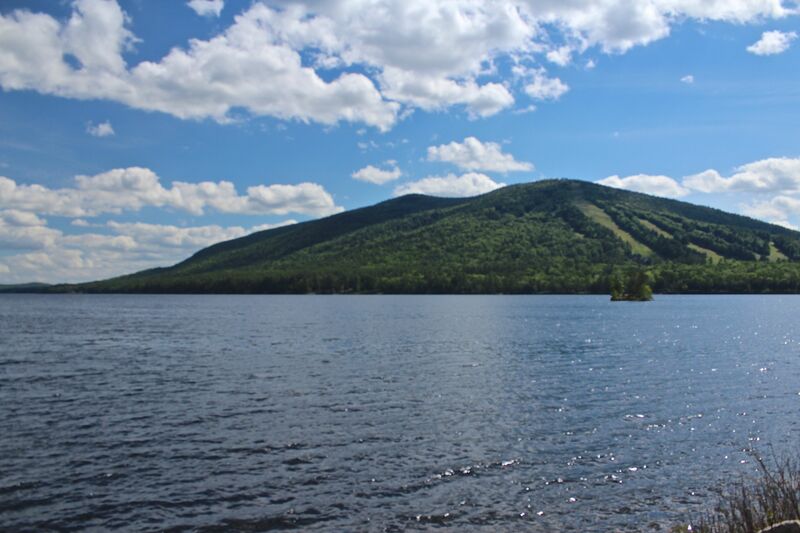 “Einstein said ‘The difference between stupidity and genius,” quoted Maine logger Phil Dow, “is that genius has its limits. '” Whether or not Einstein actually made that statement doesn’t matter. 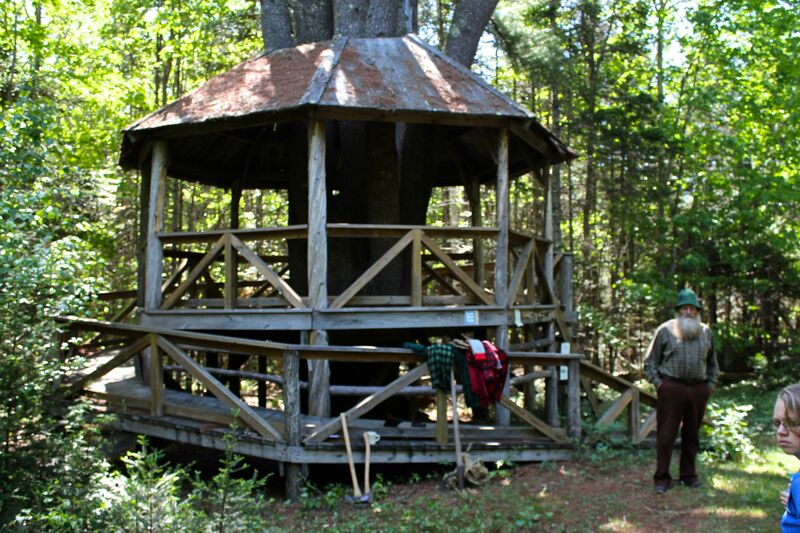 What’s matter is that on a beautiful day in May, Mr. Dow stood beside the reading tree at China Schools Forest in China, Maine, and in his soft-spoken way he informed the students sitting on picnic tables in front of him about Maine’s history and the logging industry. They were mesmerized. So was I. Life IS good. And check out his beard and that reading tree platform. Wow! 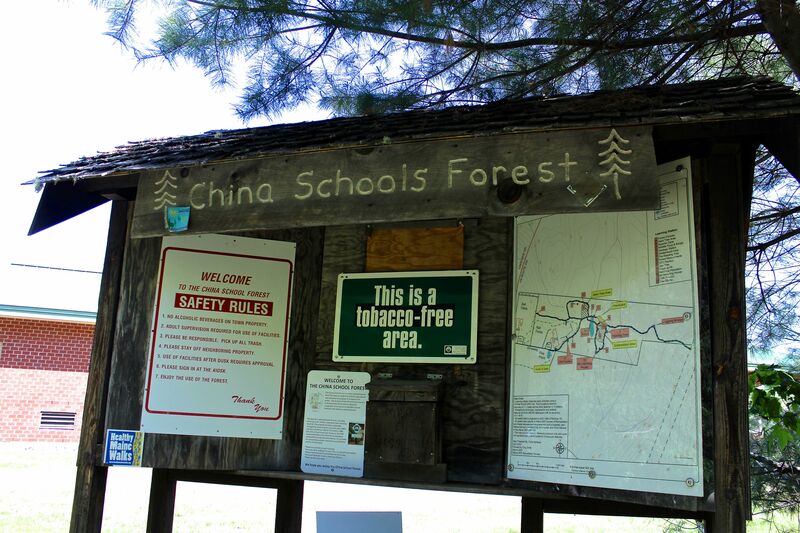 A friend and I had journeyed to China this morning to observe Forest Days in the 50-acre forest abutting the China Primary and Middle Schools. Six hundred, yes, you read that correctly, 600 kids participated in the program. With their teachers and parent volunteers, they moved from station to station, learning about forest management, pond critters, soil composition, tree id, flower dissection, and so much more from over 30 presenters. They were engaged, happy, polite . . . and not in school. 600 kids roaming about. We loved hearing their voices wafting through the woodland. 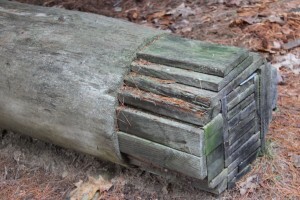 There’s a silviculture classroom, a red pine plantation, a tracking pit, den tree and more. And across the man-made pond, is a bridge that expands at the center, creating plenty of room for an entire class of students. 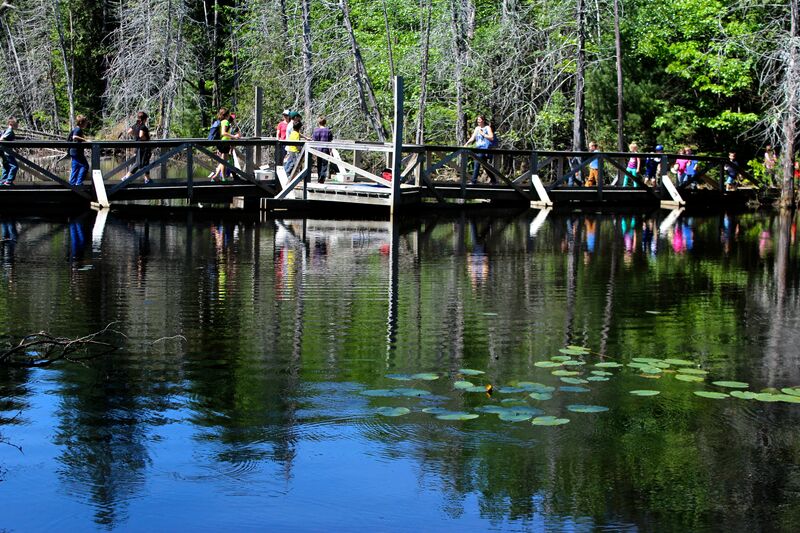 Today, they used nets to explore pond life from the bridge. 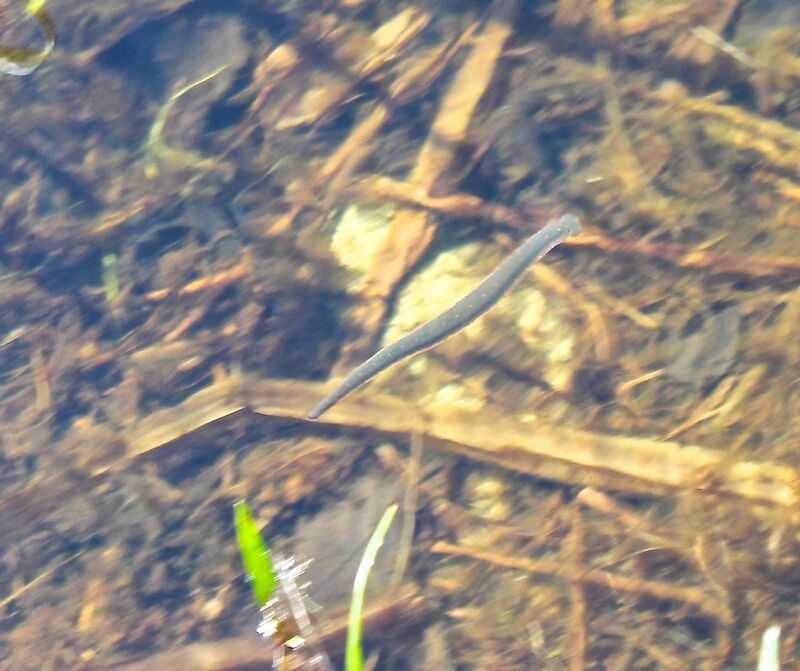 My friend and I explored pond life as well. Check out this leach. 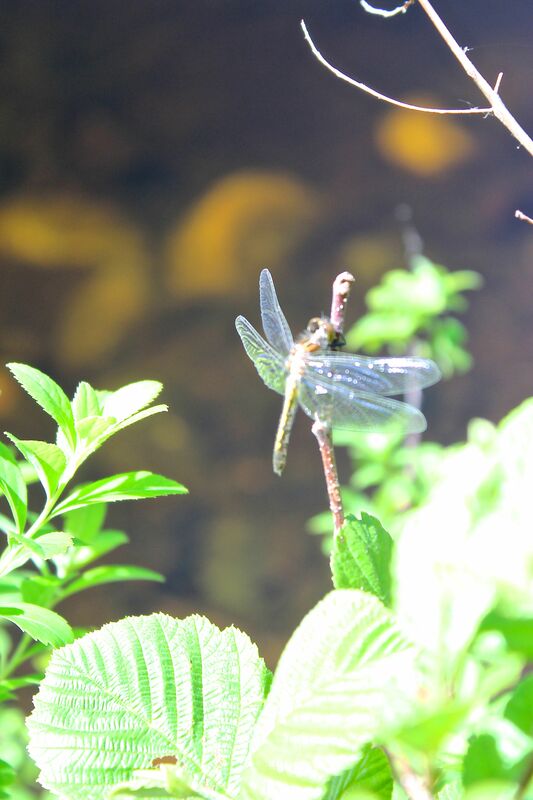 And a dragonfly. Dragonfly sitings–always worthy of a celebration. Though I didn’t see them work with this today, at the Forest Measurement classroom, they learn how to measure a cord of wood and board feet. And about the clinometer, a hand-held instrument used to measure ground slope, road grade and tree height, plus a biltmore or woodland stick used to estimate tree height and diameter. When we paused today, a local forester had middle school students simulate best forest management practices. 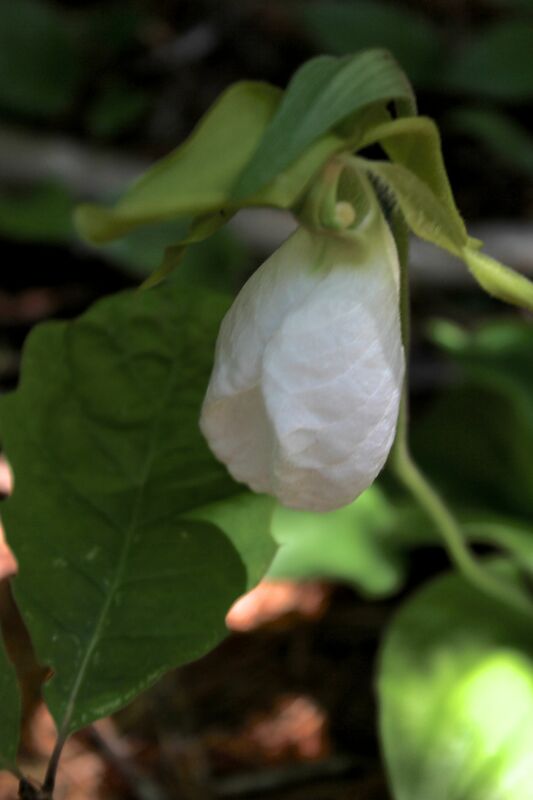 As we walked along part of the 1.4-mile path, we also noticed the flora–a White Lady’s Slipper. In Newcomb’s Wildflower Guide, this is listed as very rare. 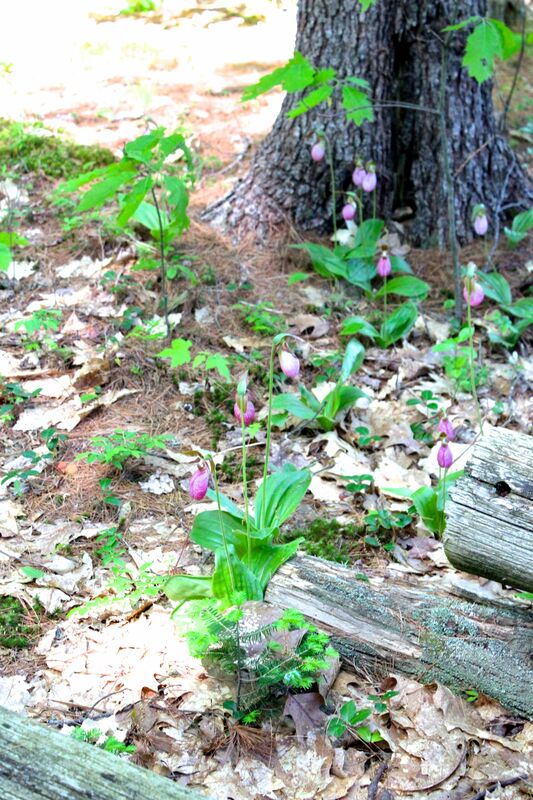 Pink Lady’s Slippers grow abundantly in these woods. 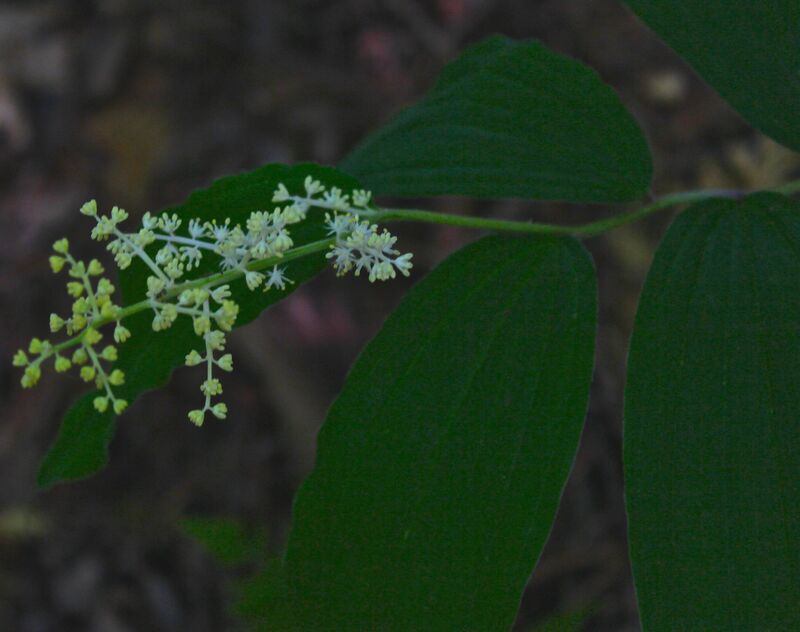 We also saw False Solomon’s Seal or Wild Spikenard. 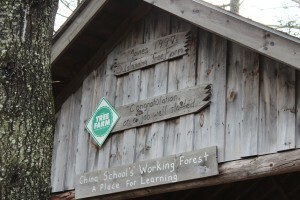 I have a lot of favorite things about this place, but the two that top my list are the reading tree where Logger Phil spoke and the signs above the pavilion–especially this one: “Congratulations on a job well started.” Indeed. The driving was a cinch because we chatted non-stop and two hours later, I was home again, home again, jiggity jig. 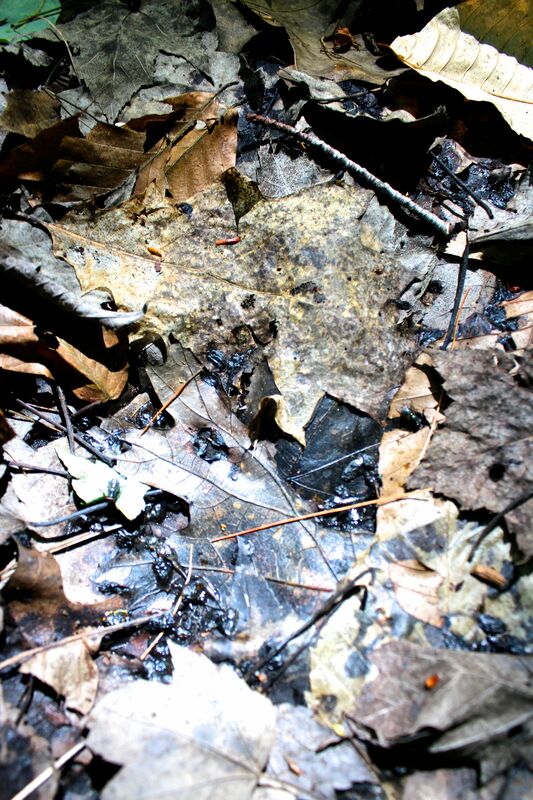 If you read my post yesterday about the vernal pool, you won’t necessarily want to read any further. The life cycle is complete. 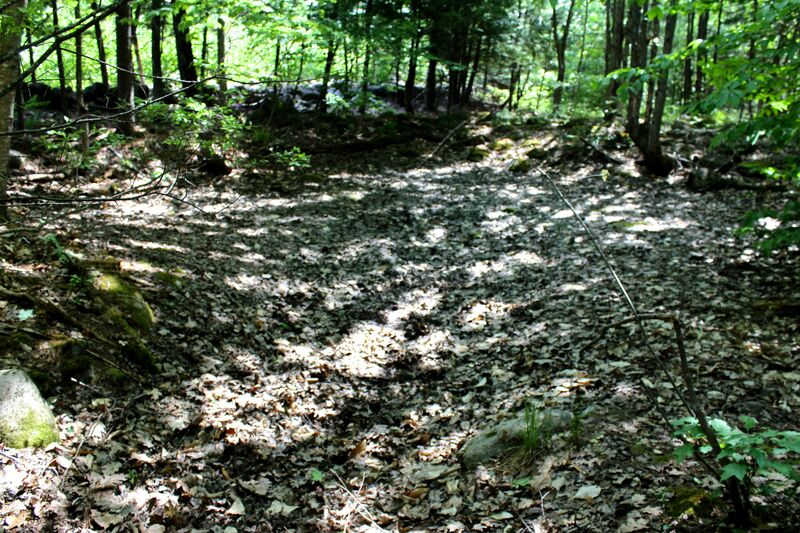 Less than 24 hours after my visit yesterday afternoon, the pool has dried up. 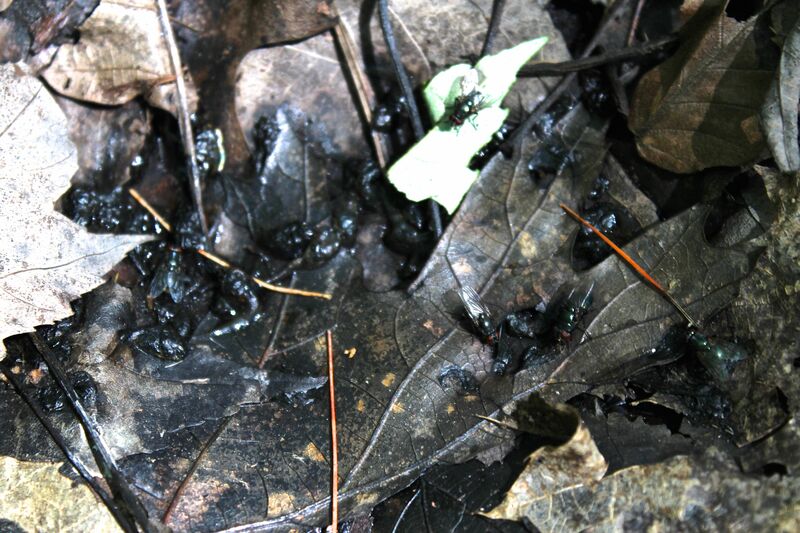 And, I’m afraid the tadpoles have succumbed. To the earth they shall return in one form or another. The place was buzzing with flies. 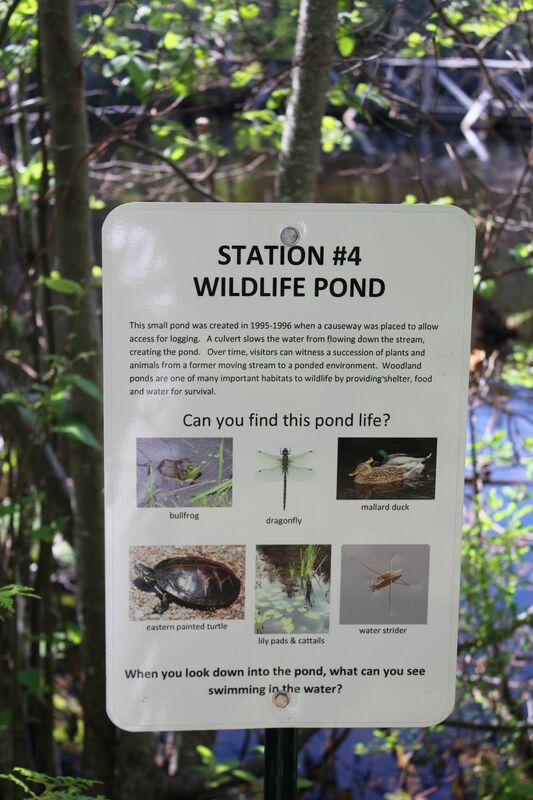 So on a brighter note, I visited my third “pond” of the day–Moose Pond. It was the perfect setting for a late afternoon interview. life IS good, but we do NEED rain. I equally enjoy reading all of your comments. Do you agree with Newcomb that white lady’s slippers or moccasin flowers are rare? I know we see less of those than the pink.